BRIDGETOWN, Barbados, Aug 23, CMC – The United States (US) Embassy has announced that from August 28, it will waive visa renewal interviews in Barbados for qualified applicants. It said the move is part of the US Government’s efforts to improve customer service and streamline the visa process. In a statement issued on Thursday, the Embassy said Barbados passport holders may qualify for a visa renewal interview waiver if their previous visa expired within the past 12 months and they are applying for the same visa category as their previous visa. “The applicant must be physically present in Barbados or within the consular district of the US Embassy in Bridgetown to avail themselves of this option. Additionally, the previous US visa must be in the applicant’s possession, and the applicant must have submitted a ten-fingerprint scan in conjunction with the previous visa application,” it said. 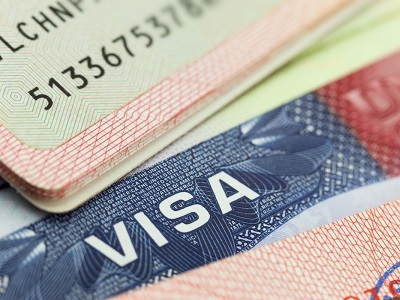 Students who wish to renew their visas, and who satisfy the requirements may qualify for interview waiver if they are applying to continue attendance at the same institution, or will continue the same major course of study at a different institution. Applicants seeking to renew work-related visas who are returning to work for the same employer/company as annotated on the previous visa may also qualify. Applicants under the age of 14 and over 79 will continue to qualify for interview waiver in most visa classifications. However, third country nationals must schedule an interview. The US Embassy stressed that eligibility for interview waiver does not automatically entitle applicants to a waiver of the interview requirement. It added that there will be further expansion of interview waivers in US Embassy Bridgetown’s consular district in the coming weeks. The UK’s Overseas Territories will have unwavering military support throughout the 2018 hurricane season, a Defence minister has confirmed. Mark Lancaster poses with the crew of RFA Mounts Bay after watching a Humanitarian Relief and Disaster Relief (HADR) Exercise on the small volcanic island of Montserrat. Crown copyright. British residents were killed, homes were destroyed and infrastructure was decimated when Irma and Maria, two of the most powerful hurricanes for decades, smashed through the region back-to-back in September 2017. Mark Lancaster visited Barbados, Antigua and Montserrat this week to reassure locals that the Ministry of Defence is supporting other Government departments to ensure that similar devastation is not repeated. No matter what the elements throw at our Overseas Territories this year, we will be there to help them every step of the way throughout 2018 and beyond. We may not be able to prevent natural disasters from occurring, but our world-class military have been planning meticulously to ensure lives are protected and damage is kept to a minimum. Our citizens in the Caribbean have already shown incredible resilience over the last year and we are determined that when this difficult period is over their local facilities are in a better state than they were before. 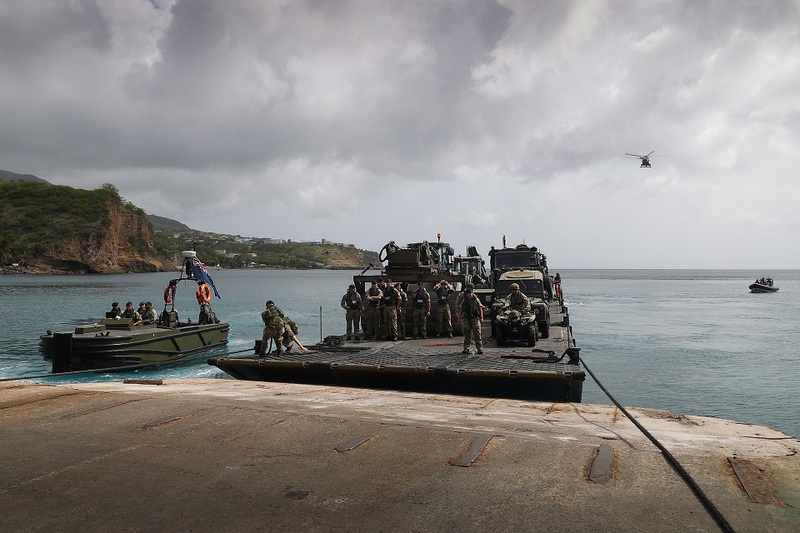 Royal Fleet Auxiliary (RFA) Mounts Bay will act as the hub of the UK’s response, and the minister was able to see a demonstration of her amphibious capabilities while in Montserrat. Fleet Auxiliary vessel MOUNTS BAY and her crew conducting a Humanitarian Relief and Disaster Relief (HADR) Exercise in Montserrat. Crown copyright. 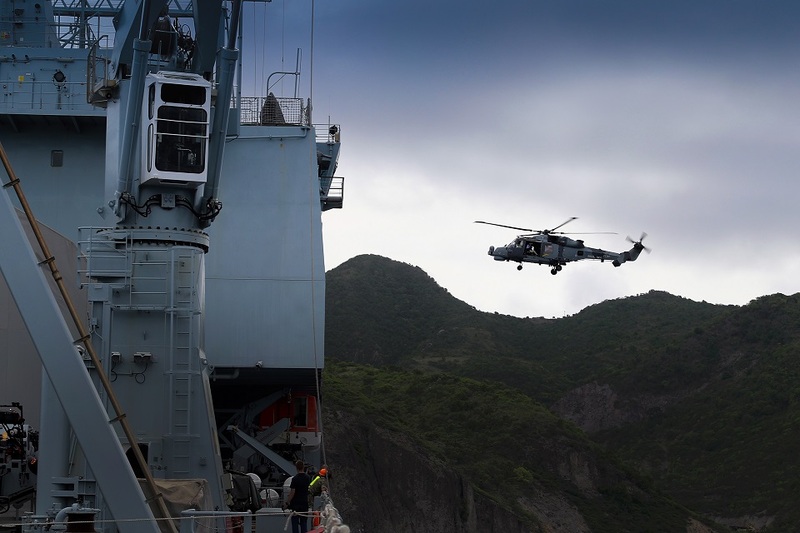 As well as being able to carry vital aid and equipment, RFA Mounts Bay also has the latest Royal Navy Wildcat helicopter on board to provide aerial support. There is also a medical facility on board, with 10 patient beds for anyone who suffers serious injuries or illness. The visit also provided an opportunity for Mr Lancaster to speak to island governors and residents about their needs as they continue to recover from last year’s hurricanes. 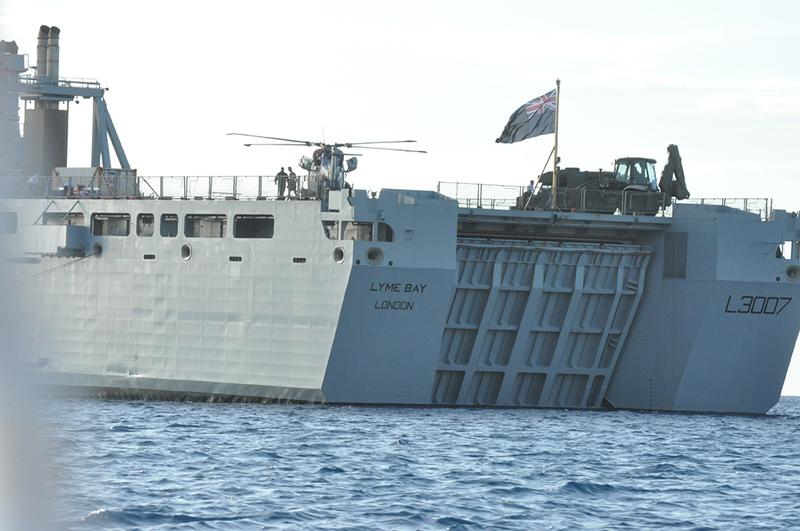 As well as preparing for this year, RFA Mounts Bay has been in the region since Irma struck and will remain there until 2020 to help restore the islands to normal. A Wildcat helicopter takes off from RFA Mounts Bay during the Humanitarian Relief and Disaster Relief (HADR) Exercise. Crown copyright. The Government has already committed £142million to support the recovery effort in the affected territories, as well as £300million of UK loan guarantees. Foreign & Commonwealth Office minister Lord Ahmad of Wimbledon is currently visiting the British Virgin Islands, which suffered extensive damage, as the Government continues its preparations for 2018. ST. JOHN’S, Antigua, Mar. 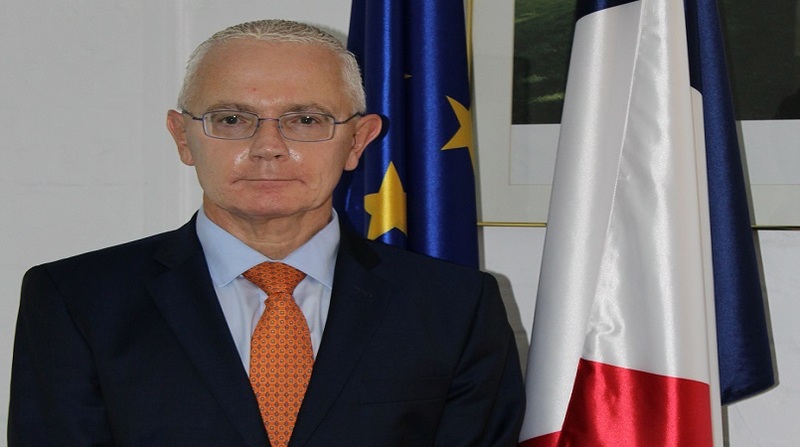 16, CMC – A treaty to solidify negotiations with the Republic of France to define the maritime space between Antigua and Barbuda and neighbouring French territories, was signed by government officials on Wednesday. The treaty establishes the outer limits of Antigua & Barbuda’s jurisdiction from where the Exclusive Economic Zone (EEZ) ends, its use, and exploration and exploitation of the Atlantic Ocean in respect to Guadeloupe and Saint Barthelemy. It also embraces the interests of local fishermen and seafarers who now have a clearer understanding of the delineation of boundaries, thereby enabling both governments to rectify the common issue. “It is also the first step to manage the problems we may have between our fishermen; obviously, it is never easy to know if you are in French waters or Antiguan waters,” said Ambassador to the OECS Member States and Barbados, Phillipe Ardanaz, who signed the treaty. Meanwhile, Prime Minister Gaston Browne said his administration recognises the need for adopting a ‘Blue Economy’ approach to development and is currently looking at ways to develop the nation’s oceanic resources. “That is a significant amount of resources for us to harness, in fact it is almost 200 times our land space. My understanding is that within the next 40 years, it will be very difficult to find sufficient land space in order to produce sufficient food to sustain the global population,” Browne said. The prime minister added that possessing a large EEZ provides the opportunity to satisfy seafood demand and suggested the twin island is capable of harvesting in the region of 10,000 tonnes of fish and fish products each year. The Prime Minister said this treaty delineates an essential area in the Atlantic waters that will ensure there are no disputes over maritime space with the country’s neighbours. The signing of the agreement follows the Eastern Caribbean Ocean Policy (ECROP) declaration for OECS members to formalise maritime boundaries in securing rights protection and jurisdiction over marine areas. PORT OF SPAIN, Trinidad, Mar 16, CMC – Prime Minister Dr, Keith Rowley Thursday said he supports the death penalty and that his administration is working towards having it implemented as it moves to deal with those citizens bent on committing murder ‘with impunity” in Trinidad and Tobago. 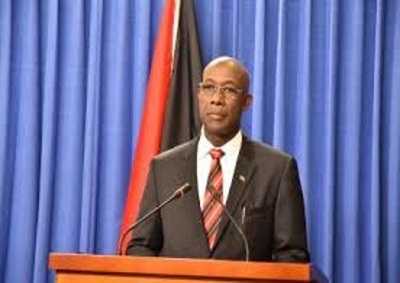 Rowley, speaking at the end of the weekly Cabinet news conference, told reporters that “this fight against the criminal element is a national crusade” and urged the public to assist the police in carrying out their investigations. 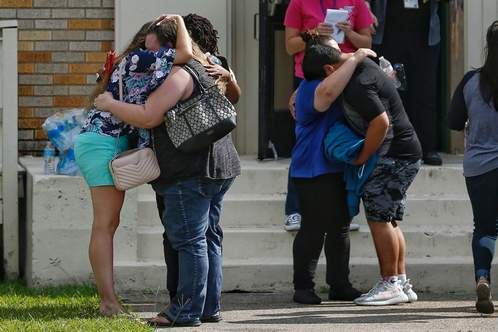 “This just require that we stay on the job and do what is required. There are people in this country who has chosen crime as a way of life,” he said, adding that “we are being traumatised by a very small minority and we are going to take the best chance in law to protect us”. 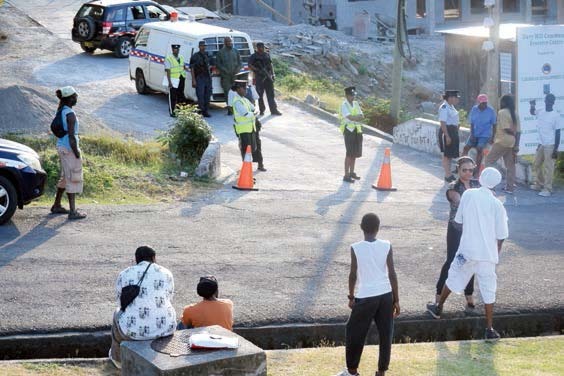 Rowley said that even when people are incarcerated “they are running criminal empires from inside the jail and we are going to take steps to ensure that this does not go on”. He told reporters he does not care whatever the backlash could be from his position but he wanted to make it abundantly clear that he is a “firm believer in capital punishment. “It is the punishment for the crime,” he said, noting that “it is my view that people acting with impunity that nothing will happen” when they commit the crimes including murder. Rowley said that the Attorney General Faris Al Rawi has set up in his office the mechanism to monitor persons who have been convicted of murder and is moving to ensure that they pay the penalty keeping in mind the Pratt and Morgan ruling of the Privy Council that persons on death row for more than five years can’t be executed. Despite Trinidad and Tobago hosting the Caribbean Court of Justice (CCJ), the oil rich twin island republic still uses the London-based court as its final court. Rowley said that former attorney general Ramesh Lawrence Maharaj is also assisting the government so that “persons of recent vintage (convicted of murder) will pay the ultimate penalty”. Rowley said that his administration is providing all the necessary resources to the security forces to deal with the crime situation here and reiterated a call for the law abiding public to help the police in their investigation. Rowley said there were some people who were bent on committing crime not as a result, for instance of having lost their jobs, but who believe that it is their right to take lives and property from other nationals. 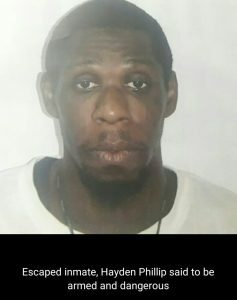 The last execution in Trinidad and Tobago occurred on July 28, 1999 when Anthony Briggs was hanged after being convicted for the August 1992 murder of a taxi driver, Siewdath Ramkissoon during a robbery in August 1992. Briggs was hanged just over a month after the members of the Dole Chadee gang were hanged over a three-day period. Dole Chadee, Joey Ramiah and Ramkelawan Singh were executed on June 4, 1999, while Clive Thomas, Robin Gopaul and Russell Sankeralli were hanged on June 5, 1999. On June 7, 1999 Joel Ramsingh, Steve Eversley and Bagwandeen Singh were hanged. The Chadee gang were hanged for their involvement in the murder of the Baboolal family in 1994. Posted on 18 September 2015. MIAMI, CMC – The United States Customs and Border Protection (CBP) agency says a joint task force from Operation Bahamas, Turks and Caicos (OPBAT) seized 2,842 pounds of marijuana worth an estimated wholesale value of over US$2.5 million during three separate law enforcement operations in The Bahamas last week. CBP reports that over three separate nights, aircrews observed suspicious go-fast vessels transiting waters in the southeast Bahamas. It said surface and air assets were subsequently dispatched to pursue and apprehend the suspected smugglers. 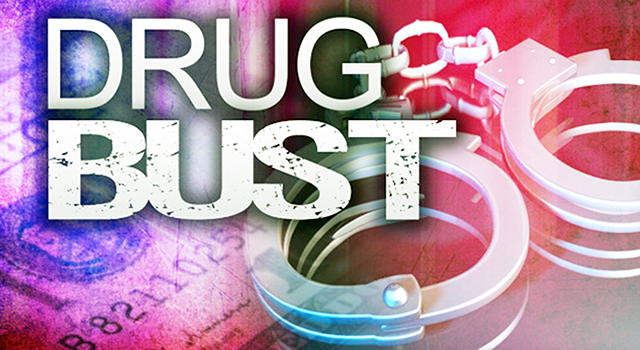 In addition to the narcotics seized, CBP said two smuggling vessels and a vehicle were taken into custody, and a total of six suspects were arrested. 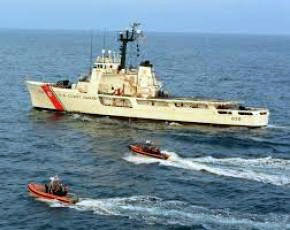 The seized go-fast vessels and contraband were eventually escorted to Nassau, Bahamas, for further processing. Posted on 21 August 2015. Florida – CMC – The United States Customs and Border Protection (CBP) agency says it has seized a vessel carrying more than 2,860 pounds of cocaine in the Caribbean Sea. CBP said that the seizure at the end of July was part of international operations targeting illicit traffickers. It said that the smugglers began throwing the drugs over board when spotted and that three individuals had been detained and more than a ton of cocaine seized. “Our exceptional agents are in a position to expose nefarious activities on the high seas and collaborate with a robust network of law enforcement and military partners committed to denying drug traffickers a safe haven,” said Director of National Air Security Operations Center, Robert Blanchard. Just two days before this report, Captain Mintor of of RFA Lyme Bay of the Royal Auxilary Fleet during its three-day visit reported that here in Montserrat his helicopter carried out surveillance with the Royal Montserrat Police Services discovering three fields of marijuana plants in the Centre Hills. CBP said Operation Martillo is a critical component of the US government’s coordinated interagency regional security strategy to counter the spread of transnational organized crime in the region and the use of transshipment routes for illicit drugs, weapons, cash, and human trafficking. St. Vincent, May 4, CMC – The Islamic State (IS), an Islamist rebel group claiming religious, political and military authority over all Muslims worldwide, has hacked the official website of the St. Vincent and the Grenadines government (www.gov.vc), a message appearing on the website Sunday evening suggested. Visitors to the website were greeted by a message saying “Hacked By Moroccanwolf – Islamic State” and a photo of man firing a high calibre machine gun from the back of a pick-up truck. A message appearing on the website says US and NATO Forces are involved in “Organised butchery of Human race since it’s (sic) inception. “They overthrow governments of sovereign nations and they undermine, threaten, refuse to recognise and seek to destroy democratically elected governments like they are in , Syria , Iraq , Gaza, Palestine,” the message said. “They support dictators as long as they are fulfilling US, EU & NATO interest in the region like they did in Pakistan and Saudi Arabia. You speak of Freedom of speech and freedom of expression but you remain silent in the face of a people desire to seek freedom to exist — unless those people are Israeli Zionists! “Hypocrisy of this magnitude will bring the chickens home to roost and not peace and security as is your mantra!” the message further stated. Minister of Foreign Affairs and Information Technology Camillo Gonsalves could not be reached for a comment on the posting. On June 29, 2014, Islamic State proclaimed itself to be a Worldwide Caliphate, the concept of a single theocratic one-world government. The new name and the idea of a caliphate has been widely criticised and condemned, with the United Nations, various governments, and mainstream Muslim groups all refusing to acknowledge it. As caliphate, Islamic State claims religious, political and military authority over all Muslims worldwide and that “the legality of all emirates, groups, states, and organisations, becomes null by the expansion of the [caliphate’s] authority and arrival of its troops to their areas”. 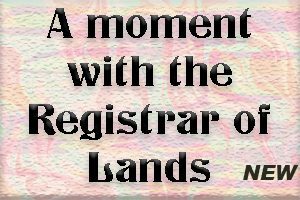 During their first in a new series of monthly the Royal Montserrat Police Service (RMPS) management was asked for reaction to the Governor’s suggestion that there were no results or arrests made in the recently and much criticized Davy Hill raid operation on January 30, 2015. The command was further quizzed about the operation being discussed as to its preparation and the lack of information provided by media upon learning about it; the fact that a subsequent press release referred to concerns dating back from 2010 and the statistical analysis they presented. Similarly, the release said: “In executing these responsibilities, the organisation will employ the necessary strategies and tactics that will demonstrate professionalism in the way it carries out these functions. In the end the RMPS managers said they will take the issues on board. “…the point that you have raised again is something that we would take on board and we will continue to look at, even though we are doing it and looking at ways and means of improvement. Robocalls are on the rise. And there is really no way for you to stop them.